Normal Breathing: When you are breathing normally, air passes through the nose and past the flexible structures that are present in the back of the throat such as the soft palate, uvula and tongue. These muscles hold the airway open when you are awake and relax when you fall asleep although the airway remains open always. Snoring is the sound caused due to obstructed breathing during sleep in which the soft tissues at the back of the throat lose muscle tone, flop back and vibrate. While snoring is relatively harmless (benign snoring), it can also signal a serious underlying medical condition which progresses from upper airway resistance syndrome (UARS) to obstructive sleep apnea (OSA). Snoring and sleepiness affects over 40% of the adult population, causing significant health issues and affecting the quality of life. Snoring can negatively affect the quality of sleep by causing excessive daytime sleepiness. Snoring can also disrupt the sleep of those nearby, causing frustration and straining relationships. Snoring has also been identified as a possible risk factor for heart disease hypertension and stroke and often signals a far more serious underlying medical condition such as obstructive sleep apnea (OSA). Snoring is one of the most common sleeping disorders that are commonly seen in people world over. Men are 50% more likely to snore when compared to women. Airways obstruction can also be caused by nasal and throat deformities such as an excessively long uvula, a deviated nasal septum etc. In children, enlarged tonsils often lead to snoring. Any ailment that constricts the bronchial airways and causes obstruction, such as asthma, can lead to snoring. Smoking which causes irritation of the airways can also cause snoring. Although the sound of snoring can be quite frustrating and unpleasant to the people, it should not be ignored since it often represents an underlying medical problem of varying severity. Snoring is also known to cause sleep deprivation to snorers and their partner. Snoring can cause significant relationship issues and is a major factor that negatively affects both the snorer and the partner. Appropriate sleep is vital for good physical and mental health of an individual. Disrupted sleep affects and impairs one’s judgment and may also interfere in learning, decision making and general cognitive functioning. It can also dampen one’s mood and often lead to stress, irritability, anxiety and depression. Snoring also fosters deep resentments between partners that can erode their feelings for one another and in turn spell doom for a relationship. The main reason for this being, snorers most often does not admit that they snore as they are not even aware of it, while the partner has to undergo several health issues caused due to lack of sleep. In many relationships, snoring may be one of the major unspoken reasons that can create a rift and in turn create havoc in people’s lives. Hence it is extremely important to communicate effectively and address this issue in a very sensitive way in order to resolve it. One should keep in mind that your partner already feels vulnerable and is even a little guilty about his or her snoring. Talk at an appropriate time: Middle of the night or early morning discussions with your partner should be avoided when you’re feeling exhausted and irritable. It’s not intentional: Although lack of sleep might make you feel like a victim, it is important to bear in mind that your partner isn’t aware of the snoring and has no intention of purposefully giving you sleepless nights. Keep it simple: Use humor to bring up the subject of snoring without hurting your partner’s feelings. Light hearted humor can often ease the tension and awkwardness in between people. 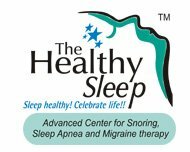 Complaints about Snoring – How To Deal with Them? It is quite common to feel a little embarrassed and guilty when your partner complains about your snoring. It is because you were probably not even aware of it and although it might seem like a petty issue, snoring can cause relationship turmoil in the long run. Hence it is important not to dismiss your partner’s concerns and instead try and find a good solution for the snoring problem, else you might send out a clear message to your partner that you do not care about his or her needs. 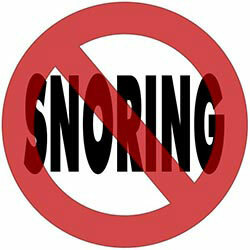 Snoring is not something that should embarrass you or make you feel guilty. It is a common sleep disorder that can be cured with a little help. Try not to take your partner’s complaints and frustration personally. Take your partner seriously and avoid trivializing the issue. Lack of sleep can cause serious health hazards to your partner and add to the frustration and helplessness. Let your partner know that you understand the situation and prioritize the relationship. Hence you will do what it takes to find a cure for the snoring.